Southeast False Creek Living! The Main Street Skytrain Station is a 3 minute walk from the Block 100 and will connect you to every corner of the Lower Mainland via the many lines of the skytrain network. The Southeast False Creek neighbourhood also offers shopping, dining, transit, & outdoor activities just steps from your door. 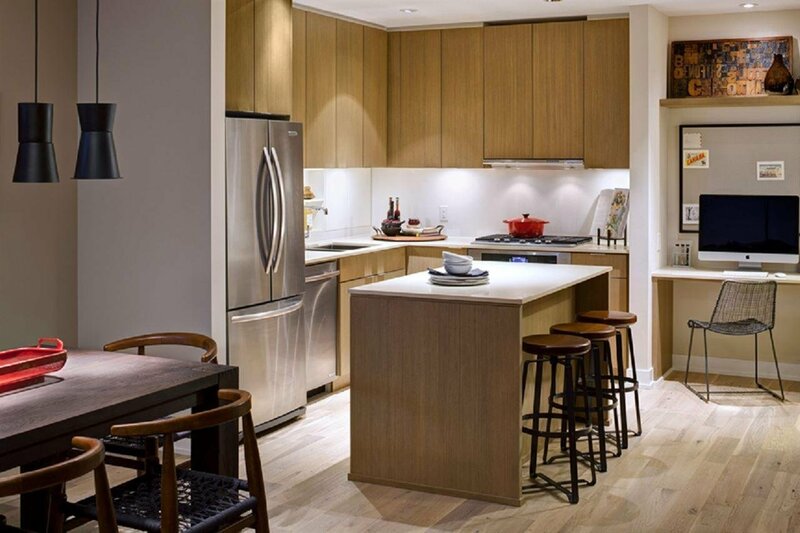 This 960 east-facing 2 bedroom + flex home offers luxury brand stainless steel appliances complement the custom flat-panel wood cabinetry, undermount sink with in-sink disposal and free-standing island in the kitchen. Enjoy access to 5,000 sq ft of private amenity space. Built by award-winning Onni Group. Presentation Centre open daily 12-6pm except Friday.